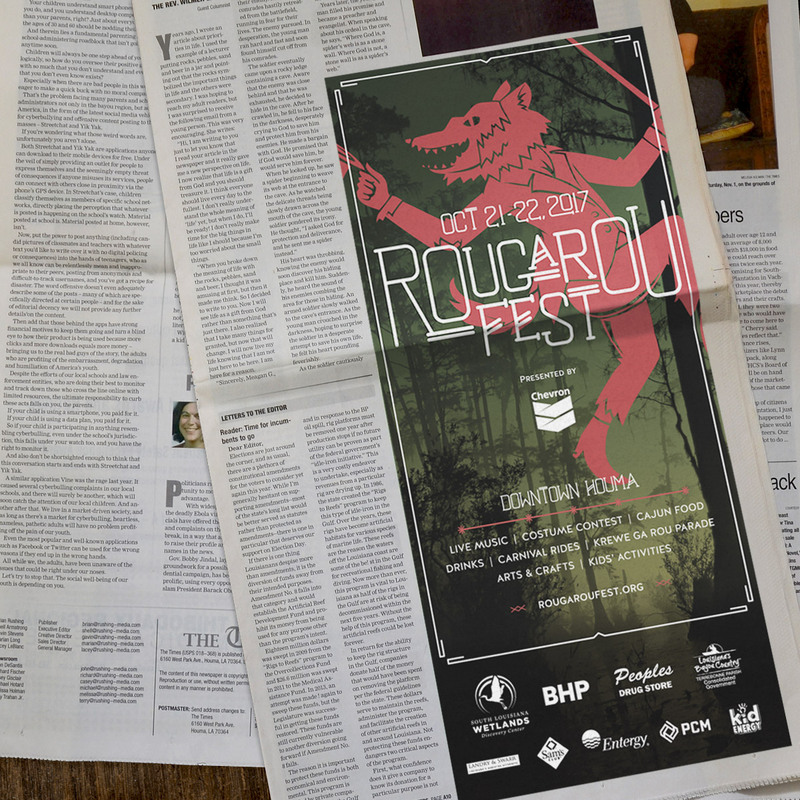 Since 2012, Rougarou Fest has become a heavily anticipated weekend-long festival steeped in South Louisiana folklore and tradition in Houma, LA. 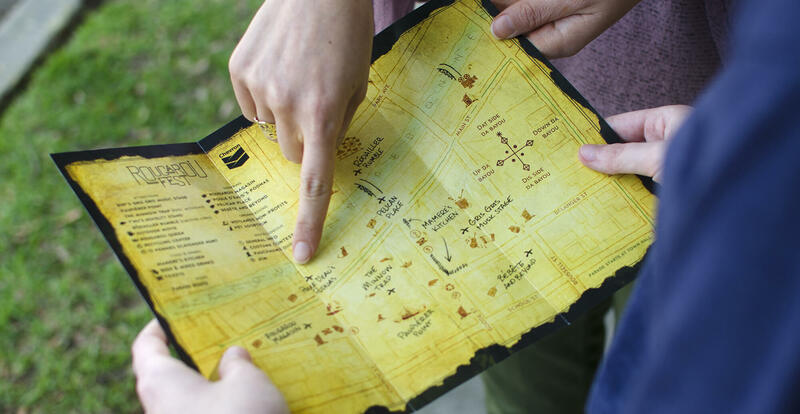 The event has garnered regional and national recognition over the years as it continues to thrill attendees through a variety of activities, musical acts, food, an elaborate parade, and so much more. 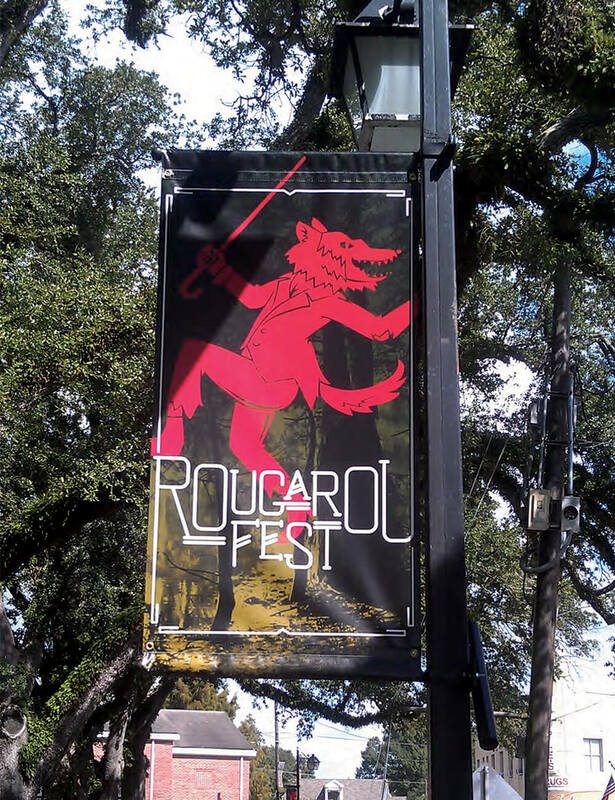 White Car has served as brand partner for the festival since first rebranding it and creating its parade-leading mascot, the Rougarou, in 2013. 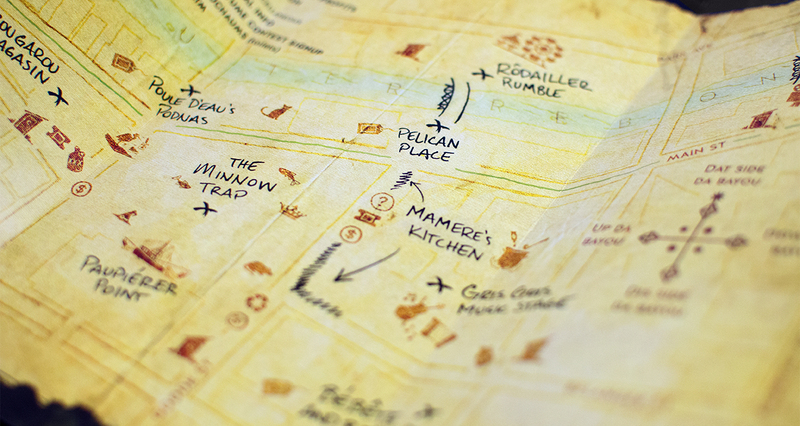 From the unique humor found between the lines of Cajun storytelling, we’ve created a multitude of light-hearted brand collateral ranging from print and digital ads to grounds signage and illustrated tri-fold maps. 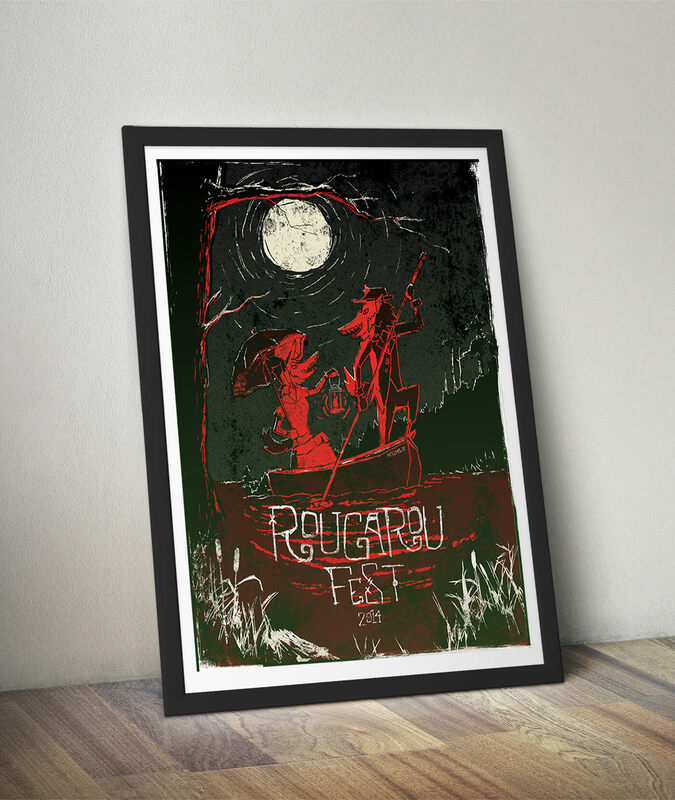 The most iconic south Louisiana folklore character, the Rougarou has existed in the minds of Louisiana natives for generations. 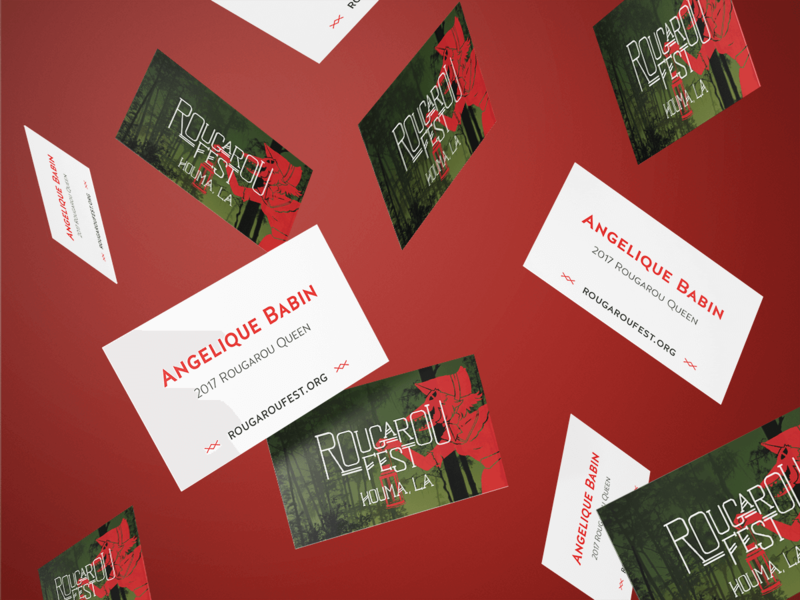 And there is no counting how many different tales of the rougarou exist. Having the head of a wolf and the body of a human, it prowls the swamps and roams at night capturing anyone it might come across. 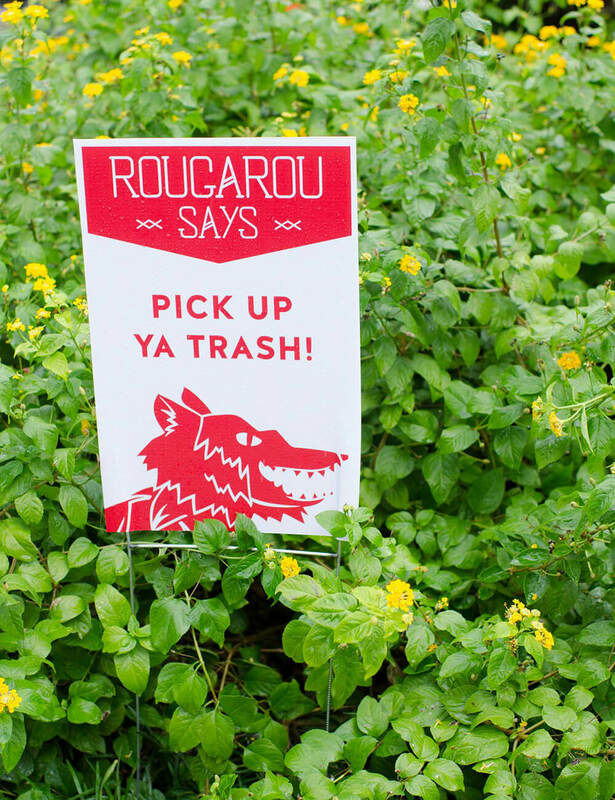 Misbehaving children would often be warned by their parents that if they weren’t on their best behavior, the rougarou might come to get them. 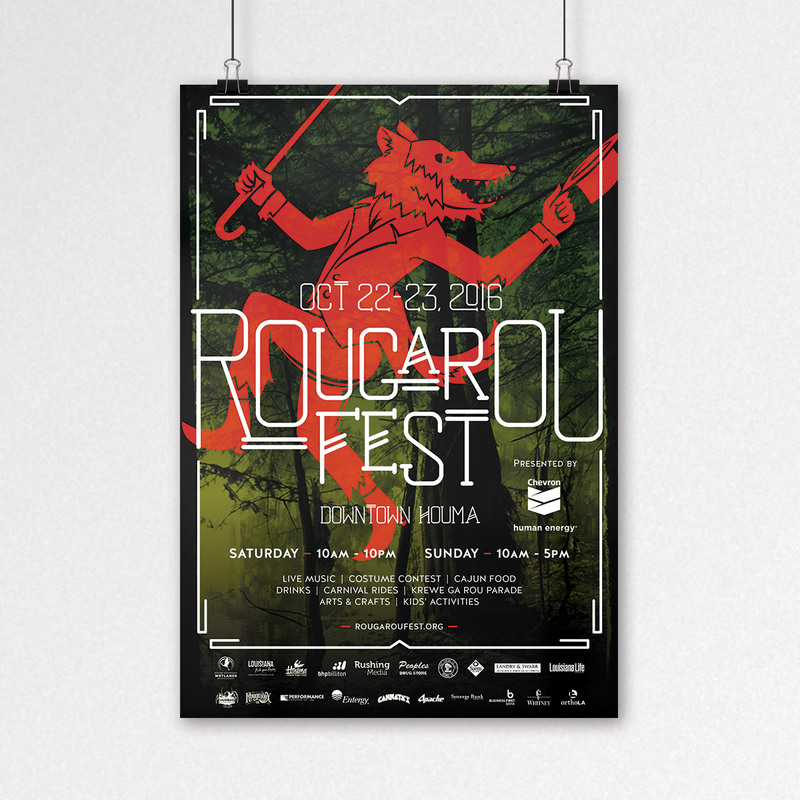 A face to face encounter with the rougarou would never end well. 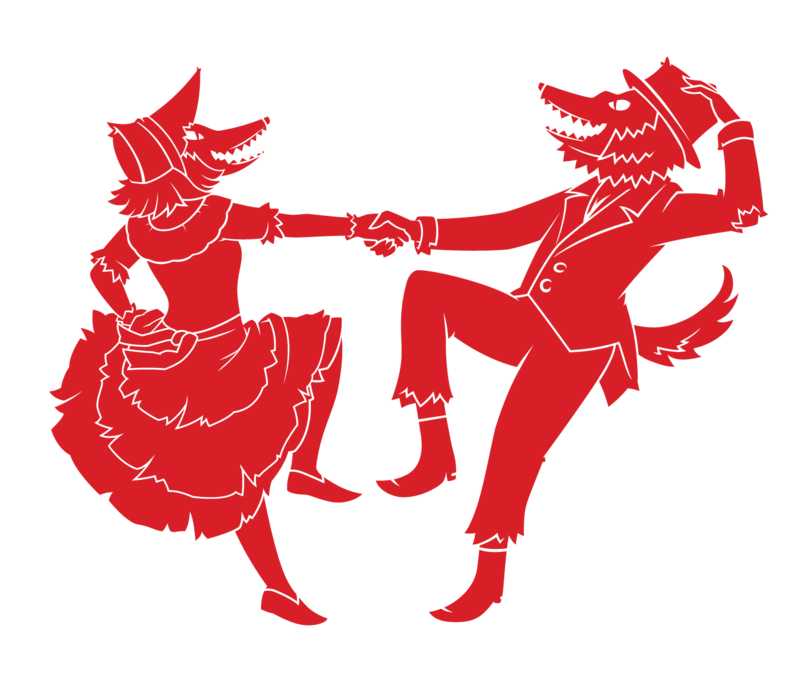 It is said that those who come into contact with one will fall under its curse and become a rougarou. Only time would tell if one could ever gain back their humanity. 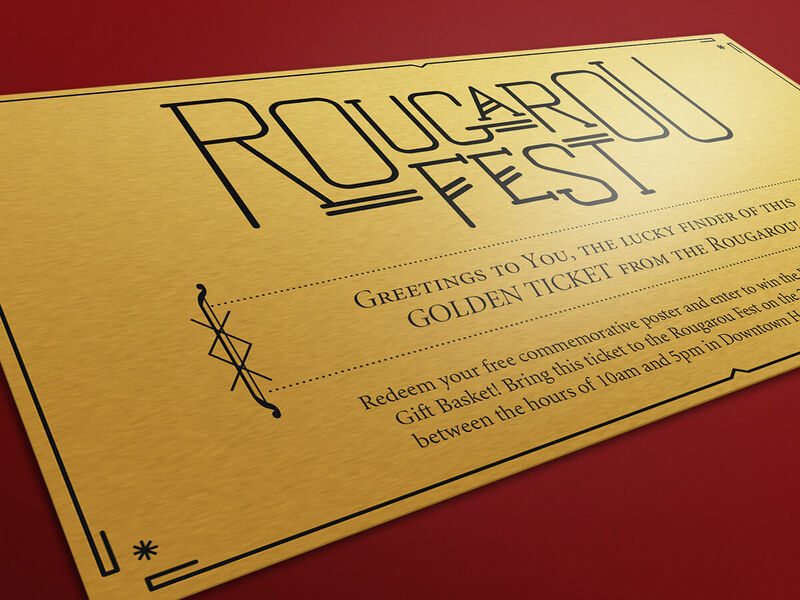 However, there is one way to ward off such an encounter if you feel the rougarou is coming after you – place 13 pennies at your doorstep at night. 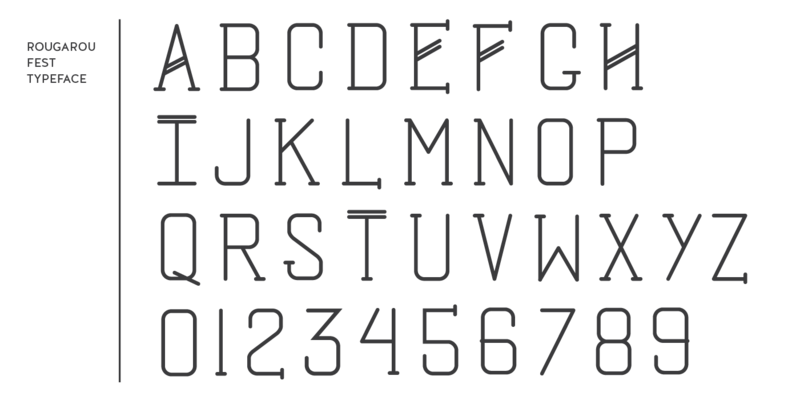 The rougarou cannot count beyond twelve, and it will spend the rest of the night desperately trying to count to thirteen, forgetting that it came for you entirely.